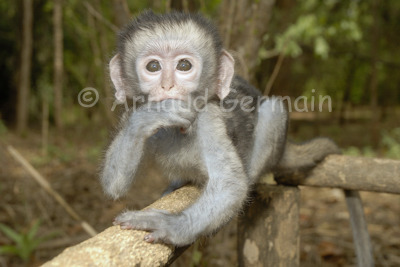 Coco was another little vervet monkey baby rescued by Lilongwe Wildlife Centre, Malawi. He was always sucking his thumb (and still is!). I took this picture for the Kelloggs campaign in the UK and in Italy to try and raise money for the Wildlife Centre, in partnership with the Born Free Foundation. I used my 18mm lens and added a touch of flash as the light was not great.